Did you know that open plan office layouts can create significant problems for workers? If you’ve been reading this blog, you’ve seen the arguments against it. However, you need to read between the lines in some of these studies. Most people don’t know that in the early days, the term “open plan” was used for all office designs that didn’t have private offices with “real” walls – and that included cubicle floor plans! Today, most people consider the term open plan to mean benching or other workstation setups that have low dividers, or even no panels at all. They use the term “closed plan” both for actual cubicles and for architectural walls that create separate workspaces for individuals, which can be deceiving as the average cubicle is about a tenth the size of a regular office and not at all the same thing! So how do you manage space constraints with cost effective employee benfits? Offices with little or no panel privacy are at highest risk for employee dissatisfaction. 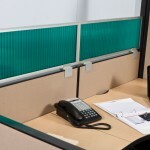 Our panel extenders (which can be included with cubicle orders) could be a lifesaver – they can make cubicle walls taller and increase their noise blocking ability. This helps immensely with both issues, and could be the answer to all of your problems! Sadly, office cubicles don’t always have the best reputation. There are even movies about hassled, unhappy cubicle workers. Surely. however, this is not the fate of all those cubicle dwellers in the world! Here are some of the reasons the cubicle manages to stay relevant, even with all the negative press – they aren’t just a cheap way for office owners to keep things running, they are actually beneficial for the right kind of workforce. You might be surprised how many workers prefer the privacy of a cubicle compared to the chaos of an open office layout or the closed off feeling individual glass walls can cause. When you are in a glass office, it’s hard to bounce ideas off of coworkers. Low walls between those who work together often can make it easy to converse throughout the day, while cubicle height extenders can help those on another aisle ignore the conversation. In an open office layout with no walls, it’s easy for employees to become distracted. It’s not just the movement of people walking right past; its the music, the crackling of food packages, the phone calls and so on. 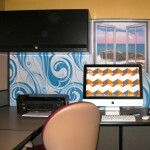 Cubicles provide a much needed level of privacy without undue isolation. Office cubicles offer a certain level of accountability, since managers can easily see who is working and who is goofing off. It’s an easy way to stay on top of deadlines, with less chance of people slacking off since they are in close proximity. 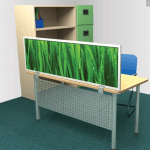 Even relatively low walls can provide a sense of personal space for employees, and [panel extenders can increase that for those who need an even quieter workplace or who work on sensitive issues. Employees are much more likely to get to know their co-workers in a cubicle setting, and can also control what interaction happens which contributes to a happier, healthier workplace environment. 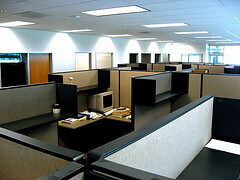 People were meant to live and work and play together, and cubicles prevent complete isolation. If your open office or glass walled office layout isn’t working well, you might consider using cubicles and panel extenders to create a more fluid workplace, where everyone has the space they need and no-one feels overwhelmed OR cramped! Is your cubicle too dark? One of the top workplace pet peeves in cubicle environments is that the workspace is dim. Sometimes this is due to lighting; causing eyestrain as workers peer at computer screens. In other cases, the lighting isn’t the issue – it’s a deeper problem. 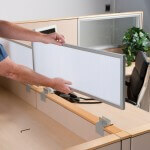 One solution is to drop cubicle walls, allowing more natural light from far away windows to reach each workspace; another idea is to use panel extenders to provide a higher wall so a small light can be installed, providing each worker with the amount of light he or she needs. 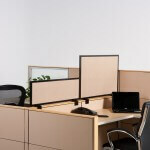 Other tips can include using cubicle partitions that help reflect light, teaching employees how to alter brightness and contrast on their monitors, adding space to cubicles by expanding their footprint, and allowing employees to decorate their offices – sometimes dark and gloomy is just a perception, and a little change is all that is needed to fix a negative view. Panel extenders can help here too – allow workers to indicate how much privacy they need and how much open air head-space. How does your office deal with cubicle gloom?